CrossFit Charlottesville is hosting our sixth Nutrition Challenge! This event is open to the public, so come redefine your relationship with food, learn how to cook again, and get some abs! At 5 PM on Sunday, September 23 we will host a Paleo Potluck Dinner at our gym. Bring snacks, appetizers, entrees, or desserts, as long as they emphasize good-quality real food (meat, fish, veggies, fruits, nuts, seeds, etc.) and skip out on the bad stuff (processed sugar, gluten, etc.). We will supply utensils, plates, bowls, and paper towels. Bring your own beverage. Consult your doctor before you make any nutrition changes. You must bring $20 in cash to the meeting on Sunday in order to participate. The money will be used as a prize pool for the winner. If you want to enter the Nutrition Challenge, follow the guidelines exactly. There are no exceptions or “cheat” meals. It starts Sunday and ends after 8 weeks (right before Thanksgiving). On Sunday we will take a picture of you showing your mid-section. The winner will be the one who shows the best body recomposition (more lean muscle mass and less fat). Men will go shirtless for the photo, and women will be asked to wear a sports bra. You need to enter everything you eat into FitDay for the first three weeks. Once a week, print out your FitDay information and bring the sheets into the gym to review with Chris G.
Emphasize naturally-raised, organic, and pastured food as much as possible. Shop at Whole Foods, the Farmers’ Market, and the C’ville Market. Avoid processed food-like substances in the aisles by sticking to the perimeter of the grocery store. Good: local, organic, or pastured meats and eggs, wild-caught fish, local or organic vegetables and berries, oils like coconut or olive oil. Bad: processed sugar, gluten, grains, alcohol, soda (even diet). Take your body weight and subtract fat mass. For example, if you weigh 150# and have about 20% body fat, you have 120# of lean body mass. Everyone will start out by eating 1 gram of protein per pound of lean body mass (our example would eat 120 grams of protein per day). Based on general Zone guidelines, divide that number by 7 to estimate fat and carb macronutrient blocks. This gives us 17 blocks for our example. Multiply by 9 for carbs and by 3 for fat; so roughly 150 grams of carbs and 50 grams of fat (which we will tweak later on in the challenge). This is not purely a science, but rather it is just a starting benchmark. If you are looking to shed fat dramatically, you need to be eating under 100 grams of carbs per day. Under 50 carbs per day and you are going to be lethargic and your performance will decrease. You need to experiment, track, and dial things in based on your specific needs. It will be funsies!!! FOOOOOOD!!! wait whoa whoa WHOA. We take the pix AFTER the potluck?!?! That seems like an automatic way to look better in the ‘after’ pictures. I gorged on fast food and ice cream for a week prior to my before picture last nutrition challenge. Its a good technique. You look bloated and unhappy in the first one and lean and happy in the last. 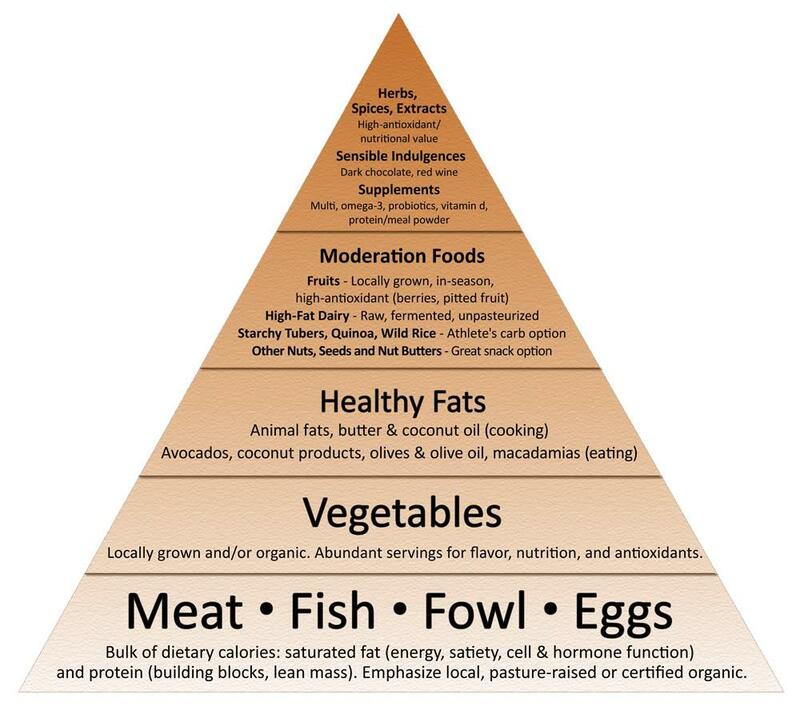 Many of you are wondering “what on earth will I eat without bread/pasta/grains/etc?!? !” Have no fear! Eating without those things will make you experiment more with foods you are not so familiar with (hellooooo veggies) and become more creative in the kitchen! I’ll be bringing a tequila-lime shredded beef dish to the Potluck, in case ya’all were wondering. Lex found this a while back and it’s pretty good. The Slow Cooker Boeuf Bourguignon is FANTASTIC. Some recipes aren’t 100% paleo, and some are a little more involved than your typical “set it and forget it” crock pot meals. Either way, if I wasn’t following recipes exactly they were certainly giving me ideas for new ways to use the slow cooker.